Another view: the best seats in the house? 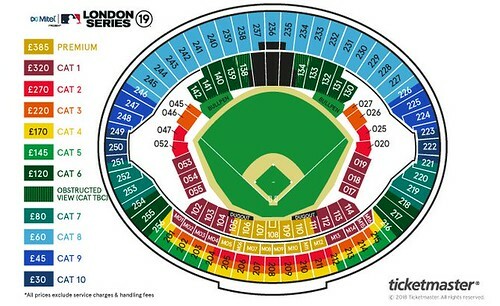 If you’re new to watching Major League Baseball, viewing the recently-released seating chart for the upcoming London Series might have felt more like looking into a kaleidoscope than at a sporting pitch. Though the details of prices left a lot of us wondering if we were going to be able to attend at all, here are some things to consider when you look at what you were able to buy from Ticketmaster this week. If you’re captivated by the grace of a curveball as it paints the outside corner of the strike zone or thrilled by the thwack of a 95-mile-per-hour fastball as it hits the catcher’s mitt, you’ll want to sit near home plate. You’ll be able to criticise the umpire’s strike zone with more accuracy than your friend sitting in centre field, watch as batters adjust their technique for different types of pitches, and be front and centre when the winning run slides in. Have you ever seen a textbook double (or triple) play and marvelled at the precision? Have you gasped as a shortstop’s quick leap prevented an RBI? If so, sitting along the first or third base lines might be your top choice. These sections will also put you in the likeliest seats for catching a foul ball, but please, please don’t be the guy who interferes with an out. No one wants to be the next Steve Bartman. If a player is running toward you to catch a foul, give him space to make the out before staking a claim for a souvenir. He might even steal your nachos. Hot tip: Increase your chances of snagging a foul by bringing your glove – or your kid. Fans of a particular team will often choose to sit near their team’s dugout. For this series, the ‘visiting’ Yankees will be along the third base line and the ‘home team’ Red Sox will be on the first base side. 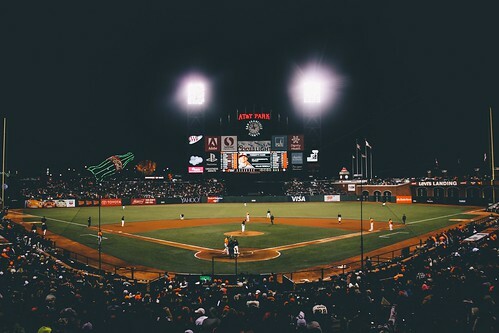 Baseball is less regimented than football when it comes to seating, so feel free to don your pinstripes or rock that Beantown ball cap on either side of the stadium—just be prepared for some gentle ribbing by opposing fans no matter where you sit. It’s no wonder the press boxes are higher up in the stadium—the bird’s-eye view allows for a holistic understanding of the whole game. If sitting at home plate is a close-up, sitting up here is a pan shot that allows you to see what’s going on everywhere. From here, you can appreciate the big picture, from the infamous infield shift to baserunning strategy. Good to know: historically, the Yankees haven’t worn names on the back of their jerseys and the Red Sox don’t have names on their home uniforms. If you’re hoping to keep track of players on these teams, you may want to familiarise yourself with their numbers and positions! Sure, you’re far from the infield action, but there is a lot to be said for seats in the outfield. If you’ve ever seen Kevin ‘Superman’ Pillar dive for a pop fly or Mike Trout scale a wall to steal a home run, you know what I mean. Plus, you might get lucky and catch a home run ball (for your best chances, pick a seat on the lower level in left field). 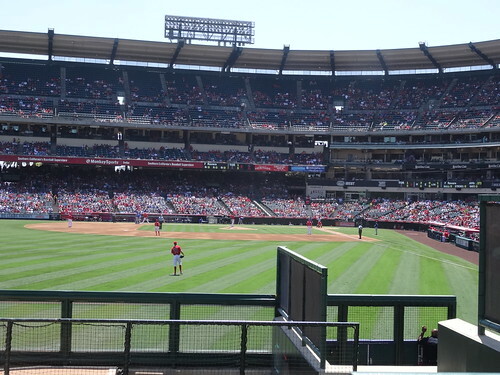 The outfield is also a great place to watch pitching, particularly if you can snag seats above one of the bullpens where you’re likely to see multiple relief pitchers warming up their stuff. Though the configuration of the London Series bullpens is unclear from the seating chart, sitting near the pen often means being able to watch baseball players watch baseball, as off-duty relievers will still sit and watch the on-field action. Fun fact: keep an eye out for a relief pitcher carrying what looks like a toddler’s backpack. While he could be a huge Frozen fan, chances are he is the team’s newest rookie reliever. 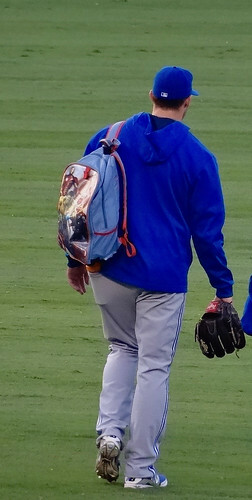 In MLB tradition, that means carrying around the bullpen’s snacks in humiliatingly juvenile rucksack. If you’ve managed to find your way into a corporate box or the VIP hospitality section, you probably don’t need me to tell you the advantages of sitting in these seats. Please enjoy your complimentary beer, ‘American-themed food options’ and proximity to ‘MLB legends’. You won’t find serious suits trying to impress their clients in these seats, just fans and fans-to-be looking to have a great day out at the ballpark. If sitting here is anything like the cheapest seats at Fenway Park and Yankee Stadium, where I’ve experienced some of the most boisterous fans in baseball, it will be a fun place to take in the games. Let’s face it: for the price of some of the tickets to this series, many have argued you might as well fly to New York or Boston to catch a game. So why buy tickets for the London Series? Bragging rights. Perhaps more than any other sport, baseball places an enormous emphasis on its own history. There will only be one first-ever MLB series in London, and whether you ended up paying £30 or £385, you will be one of the lucky few able to say you were there to witness it. Rachel Steinberg is a former Little League Umpire and freelance writer. So far, she has visited 11 MLB stadiums, 4 MiLB stadiums and two stadiums in the Dominican Professional Baseball League. She hopes to add the London Stadium to this list very soon….